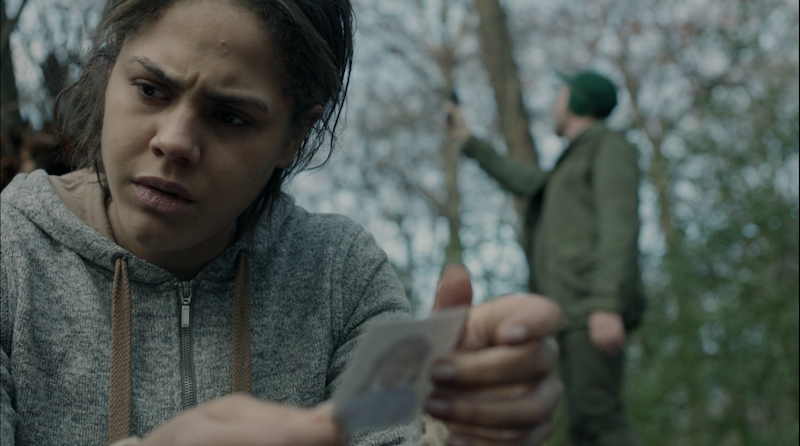 In the second episode of season two of Black Mirror, the character Victoria Skillane (Lenora Crichlow) wakes up in a world where many people have been turned into zombies who do nothing but record things with their phones. And others are trying to kill her. In the original script, that was all there was to the story. In the released version of “White Bear,” Victoria meets other unaffected people who are trying to end the apocalypse by destroying the transmission that is turning everyone into uncaring video zombies. The transmitter is said to be at “White Bear.” Victoria eventually finds out that there is no apocalypse. Instead, her memory is wiped at the end of every day and she’s forced to live the terror of being chased by murderers (really actors) and filmed by the public. It’s a punishment she was given for participating in the abduction and murder of a young girl. Her fiancé killed the girl—whose stuffed white bear symbolized the crime to the nation—while Victoria filmed it. This one’s much better. And also a testament to how lucky Brooker was that he could make a change that late in the process. Flexibility can save a project.